Global coal demand will edge higher until 2023 as growth in India and other Asian countries offsets a decline in Europe and the United States, the International Energy Agency (IEA) said on Tuesday. Consumption of the fuel is expected to rise by an average of 0.2 percent a year from 5,355 million tonnes of coal equivalent (Mtce) in 2017 to 5,418 Mtce in 2023, the Paris-based agency said. The report comes days after nearly 200 countries agreed to rules for implementing a landmark climate deal aimed at curbing emissions from fossil fuels to keep global temperature rises this century well below 2 degrees Celsius. “Despite significant media attention being given to divestments and moves away from coal, market trends are proving resistant to change,” the report said. For the world to meet its climate goals, more work is needed to develop carbon capture, storage and use (CCSU) technology which captures and then either stores carbon dioxide underground or uses it in other industries, the IEA said. “Simply put - to meet our sustainability goals, there can be no future for coal without CCSU,” IEA executive director Fatih Birol said. Just 18 large-scale carbon capture and storage plants are in operation around the world, according to the Global CCS Institute. 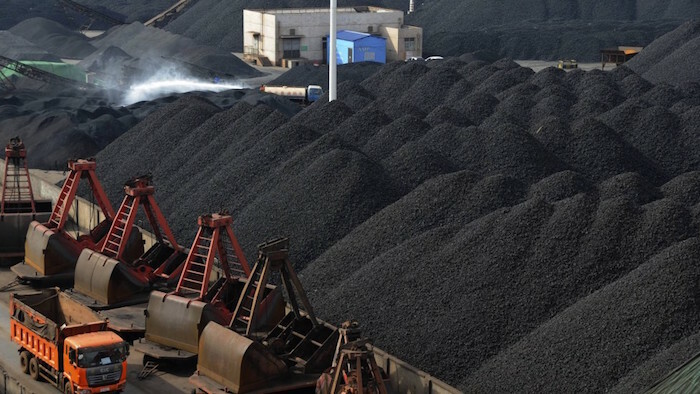 Coal consumption in China is projected to fall 0.5 percent per year to 2,673 Mtce in 2023, driven in part by efficiency improvements and policies to curb air pollution. A sharp increase is predicted for India, with demand rising by 146 Mtce to 708 Mtce in 2023, boosted by a rise in coal-fired power output and production of crude steel, the IEA said.